Heralded as one of comedy’s best young sitcom writers, Megan Amram is far more than an ordinary 27 year old with an impressive day job and a sassy Twitter account. 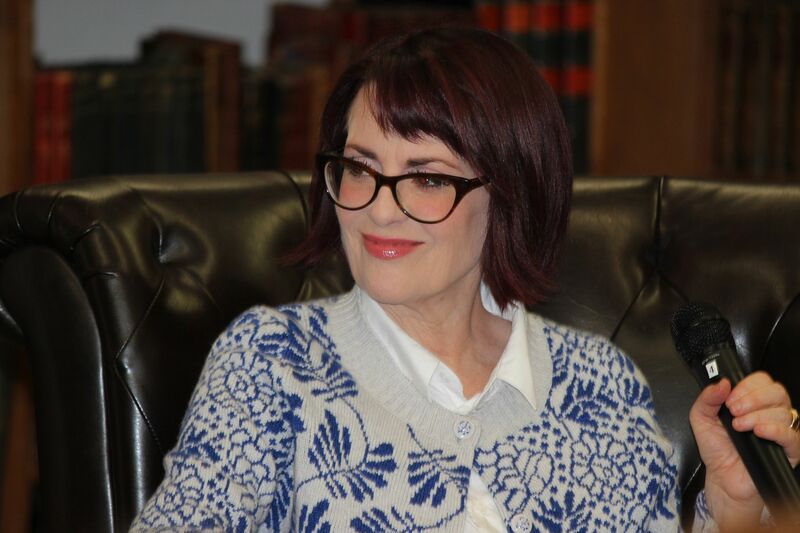 Celebrating the release of her satirical new hardcover book “Science…For Her,” the writer on NBC’s “Parks and Recreation” hosted a Q&A and book reading event on Sunday night at New York City’s famed Strand Books. 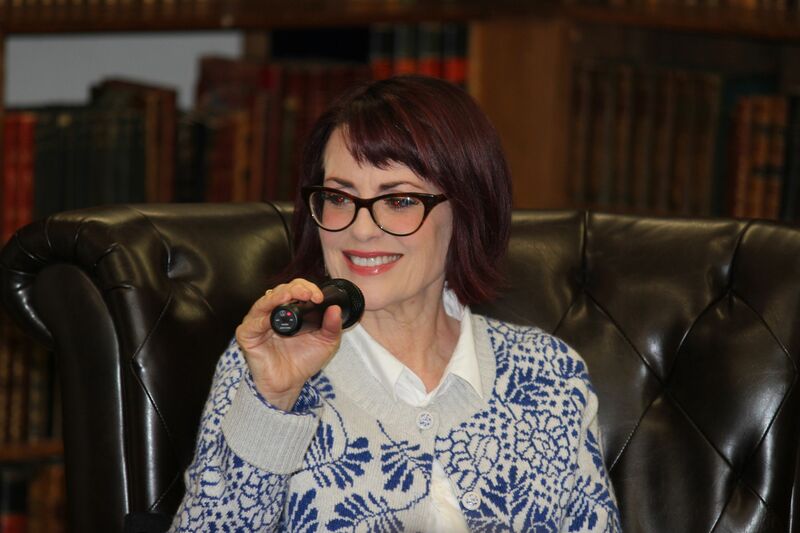 Flanked by actress and friend Megan Mullally, the pair filled the third floor Rare Book Room with a sea of laughter for the hour long conversation which allowed members of the audience to engage the young author after listening to a few excerpts from her new literary release. With a front cover that resembles a ladies magazine, Amram’s intention to create a scientific textbook for women is one that jabs at societal morays and playfully laughs as it them with her brand of staunch feminist confidence more than it uses any scientific data or analysis to prove anything. Rather, the book tackles misconceptions like women being poor drivers and the constant ticking of their biological clocks in serious fashion. Part of what makes the book such a fun read is the fact that Amram justifies each of these arguments from the perspective of the person making them- and the results are predictably ridiculous. To her credit, the book reads legitimately and if you didn’t know the writer’s background, “Science” is likely to be confused for a morally questionable, particularly sexist piece of material. But there were dozens of people in the know on Sunday night, where the room was regaled as both Megans chatted about important social subjects like the evolution of female pubic hair, insecurities of the female body, weight loss and Jenny McCarthy‘s initial stance on Autism which led to parents avoiding vaccinating their children. Said Amram “If you’re hot enough, you can literally say whatever you want.” Throughout the evening Amram was rarely out of character, sticking to the perspective of the book’s author and falling in line with many of the sweeping generalizations about women that her writing mentions sardonically. But although the book is filled with a bevy of sarcasm, there’s a certain realness there that emerges and it appears that Amram is using the text book as a comedy platform in leading her feminist mission. By poking fun at the stereotypes that have been lobbed at women- from death to weight loss to keeping men happy- she’s actually been able to empower them. And by using social media (she’s got just under 443,000 followers on Twitter) to build an audience, it’s clear that Amram’s rallying cries are not going unheard. In fact, they’re being met with often raucous laughter.